She’s caring for her daughter’s baby and for her aging mother. Her husband left her for another woman, effectively leaving her a widow. 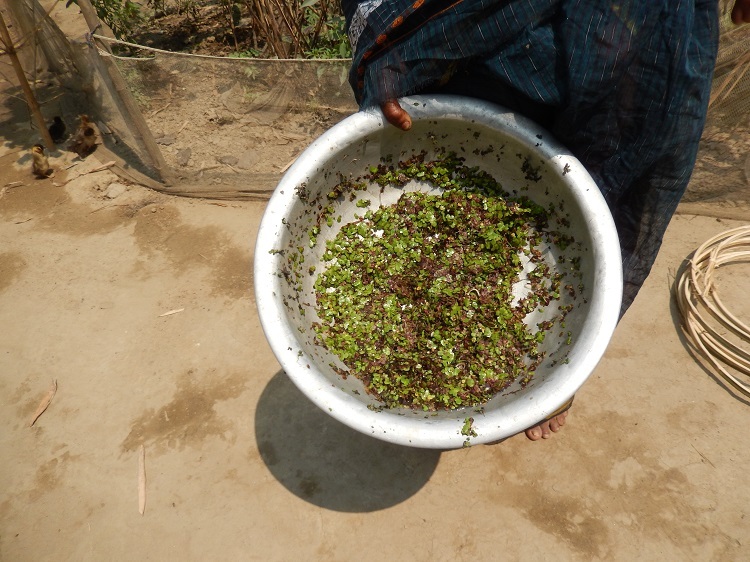 How can she earn her own livelihood, as a poor widow in northern Bangladesh? What to feed them? Animal food is expensive. So, Manjura goes out into the neighbors flooded rice fields and collects the tiny floating green plants on top of the water. I’m pretty sure it’s a species of “duck weed.” She mixes in some rice bran, makes a curious little call to the ducks and they come “a running,” paddling actually. I hope that we can expand this initiative with Khaki Campbell ducks. World Renew just completed a nutrition assessment in Manjura’s district. We found that almost 59% of the babies become stunted after they are weaned from breast milk. Tragically, stunting harms both their mental and physical development. But, parents simply assume that their people are small people. However, we know that high quality post-weaning food, along with prevention of diarrhea, respiratory infections and malaria—could make a huge difference. We know that animal protein, vitamins and minerals are more easily absorbed by the human body than from vegetable sources. 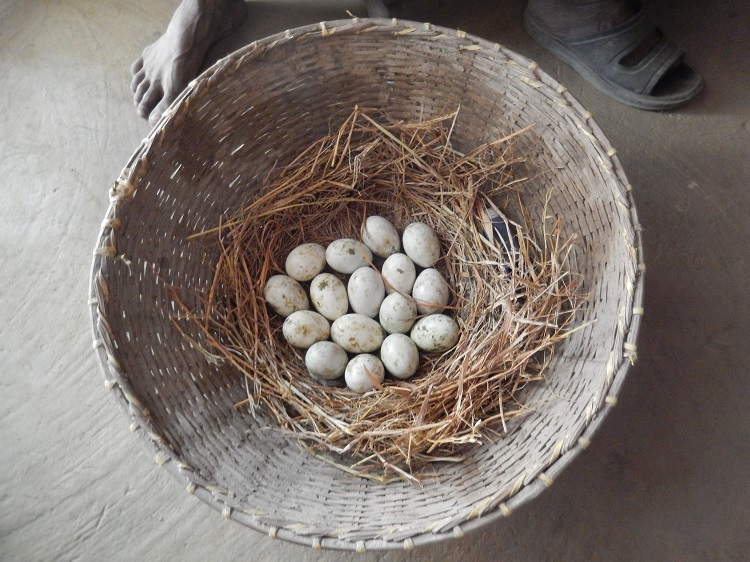 So, we hope that Manjura’s small success with the Khaki Campbell ducks will grow into a much bigger impact for children in the first 1000 days of life.